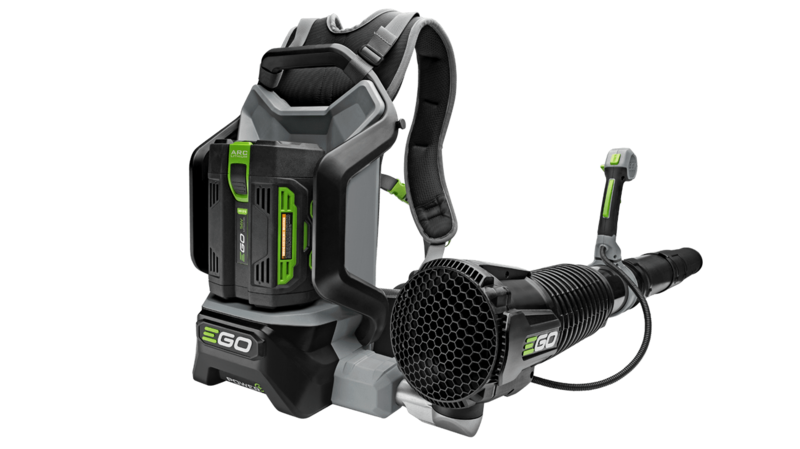 The EGO POWER+ 600 CFM Backpack Blower is 8 times quieter and weighs half as much as comparable gas blowers. Turbine-fan engineering moves air at a staggering 600 CFM. 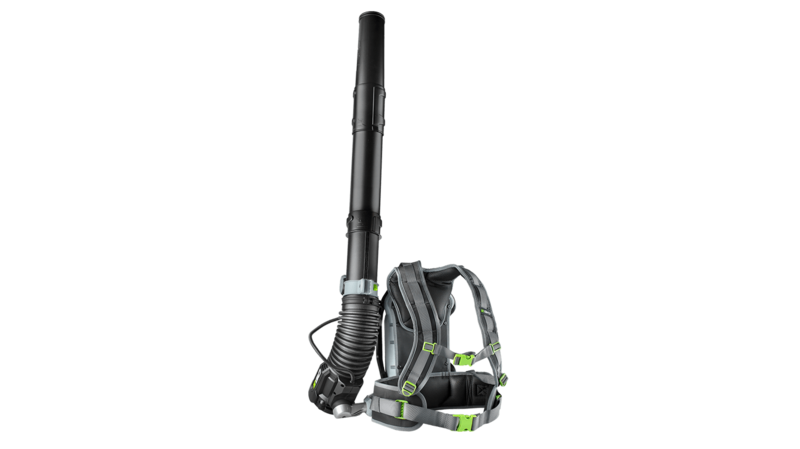 The EGO POWER+ 600 CFM Backpack Blower is 8 times quieter and weighs half as much as comparable gas blowers. Turbine-fan engineering moves air at a staggering 600 CFM. Variable-speed control allows you to dial the power up or down for superior control, from 320 cubic feet per minute to 600 cubic feet per minute, and the turbo button gives you max power for heavy-debris-clearing power. The Backpack Blower's high-efficiency brushless motor delivers longer run time, low vibrations and an extended motor life. Compatible with all EGO POWER+ ARC Lithium™ batteries (available separately) to deliver Power Beyond Belief™. I bought this 2 weeks ago and glad I did. So far I have used this several times and just amazed at the power from a battery device. The blower is very balanced and feels comfortable on my back. Best part of all is I don't smell of gas unlike my neighbor using a gas/oil-mixed blower.